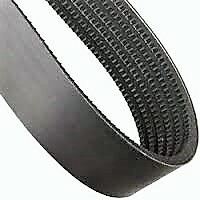 Continental ContiTech HY-T® Wedge Torque Team® Belts formally Goodyear EP is the big league choice when it comes to banded belt performance. Built with multiple belts joined by tough, rubber-impregnated fabric backing that regulates belt travel so all ribs pull togetheras a single, perfectly matched team. See pulley section and if you have any question Contact Us.